Sara Brissenden-Smith has twenty years of experience, primarily in community development and non-profit management. 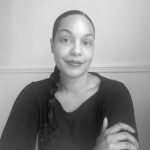 She has worked extensively on media engagement campaigns, serving as the National Community Engagement Manager at Independent Television Service (ITVS). Sara has supported community development at the grassroots level, mobilizing groups around issues of education, workforce development, housing and equity in neighborhoods with organizations like Habitat for Humanity. Sara holds a BA from Santa Clara University in Sociology with an emphasis in Ethnic Studies. Sara is a native of the San Francisco Bay Area and an avid traveler.